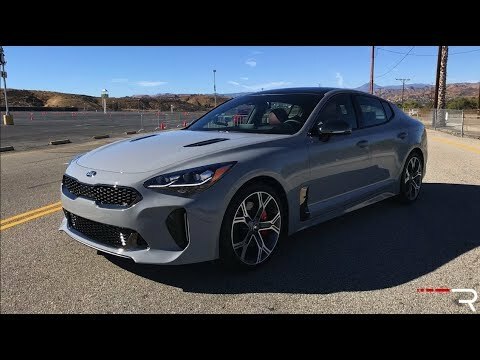 The 2018 Kia Stinger is the company's first foray into the competitive sports-sedan market, and we're ready to say the Korean manufacturer has nailed it. With powerful turbocharged engines driving the rear or all four wheels, and a chassis that feels more Stuttgart than Seoul, the new Kia Stinger is the real deal. BMW-engineering, Audi design, Korean reliability and Kia's unparalleled customer service. Kia is now playing with the big boys. It's a high performance vehicle that would demand a higher price if it had a different badge on it. Kia hired BMW's M division head engineer and a lead designer from Audi who both put their heads together and came up with the Stinger for Kia. As far as performance (and looks) bang for the buck, I don't think you can beat the Stinger. Great safety features. Protection while driving, and parking. The backup camera assist with parking. The navigation system is great if you were to take a trip so you have your phone in case you need to make a call. The warning system helps to keep you in your lane,as well as backing into to something or someone. Don't be fooled by the brand - this car can compete with a Ford Mustang, BMW, Mercedes, Audi, or Infiniti. It's unbelievably fast! My car is fast and it has some great features. The heads up display is my favorite, but I also like the lane assist and the heated/cooled seats. The Stinger has all the benefits of a much more expensive car without the hefty price tag. Kia will notify owners, and dealers will inspect the wiring harness for damage. If no damage is found, a cover will be installed. If damage is found, the wiring harness will be replaced and a cover will be installed, free of charge. The recall is expected to begin December 20, 2018. Owners may contact Kia customer service at 1-800-333-4542. Kia's number for this recall SC170.